(HealthDay)—The prevalence of traumatic brain injury (TBI) is 2.5 percent among U.S. children, and TBI is associated with several health conditions, according to a study published online Sept. 24 in JAMA Pediatrics. Juliet Haarbauer-Krupa, Ph.D., from the U.S. Centers for Disease Control and Prevention in Atlanta, and colleagues examined the lifetime prevalence of TBI in a nationally representative sample of U.S. children using data from the 2011 to 2012 National Survey of Children's Health. For children with and those without TBI, the likelihood of reporting specific health conditions was compared. 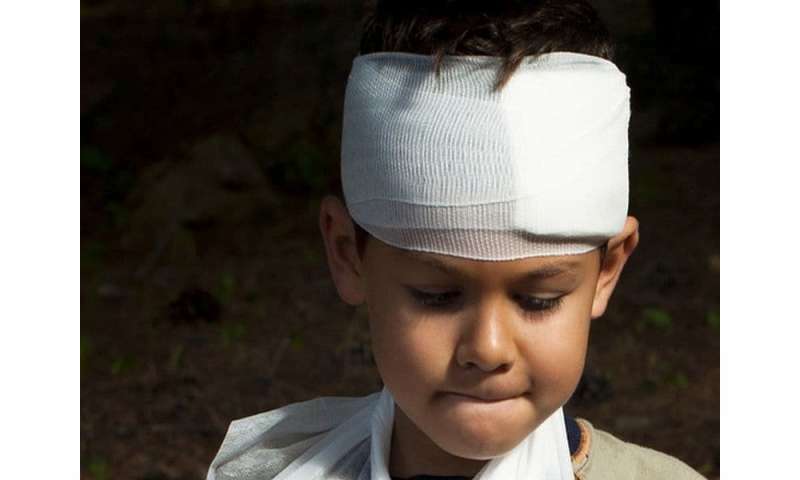 "For more comprehensive monitoring, health care professionals should be aware of the increased risk of associated health conditions among children with TBI," the authors write.